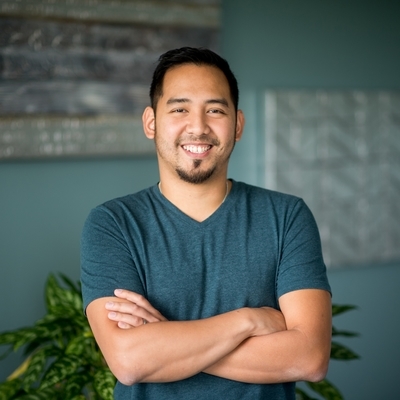 Michael Aguirre is TTA’s dedicated Network Administrator who works with the company’s diverse team of skilled IT professionals to support the wide scale of automation necessary to operate TTA’s web servers, databases, and communications systems. Michael knows that integrated technology is not only necessary for everyday business but is also fundamental to the company’s ability to sustain rapid growth. Michael’s efforts have helped create an effective and efficient infrastructure to embrace company growth necessitating the improvement of the network backbone, virtualization of servers, and expansion to Tier III data centers. He also leads the company’s internal help desk team and provides supervision and direction on projects centered on deploying new technology initiatives. Michael has been with TTA for 12 years, is CompTIA certified, and has worked towards a Bachelor’s in Computer Science from Worcester State University. My first job was at the University of Massachusetts Medical School in their Behavioral Health research division. I gained experience in HIPPA compliance, data protection and database integration while interviewing study participants on their health habits. At the time I was still in the pre-med program in school but working on the study’s database reminded me how much more I was interested in technology. If I see a problem, I can’t help but to try to do whatever I can to fix it. Fortunately, my work involves dealing with a lot of problems, so I must simply work hard all the time. Definitely invisibility. For some reason I’m the center of all office pranks, so I would use it purely for sweet revenge. I think working in IT in general has always satisfied my need to be challenged but working specifically at TTA has helped me explore my career by providing the flexibility to take on new responsibilities outside of my job description. I’m a problem solver at heart, and although I like to fix computer problems, sometimes I also like to get my hands dirty. I would probably be a mechanic. Who doesn’t need their car fixed?